Mayor Carlos Gimenez, OCOG Co-Chair, reports on County’s progress during the event. 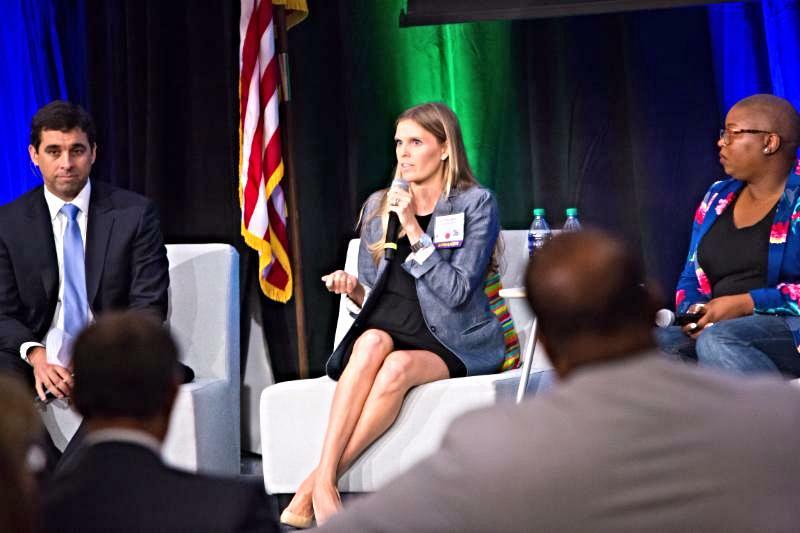 The Beacon Council’s One Community One Goal Annual Report to the Community gathered more than 600 business and community leaders to experience the growing excitement about Miami’s tech and innovation ecosystem July 21 at the University of Miami. 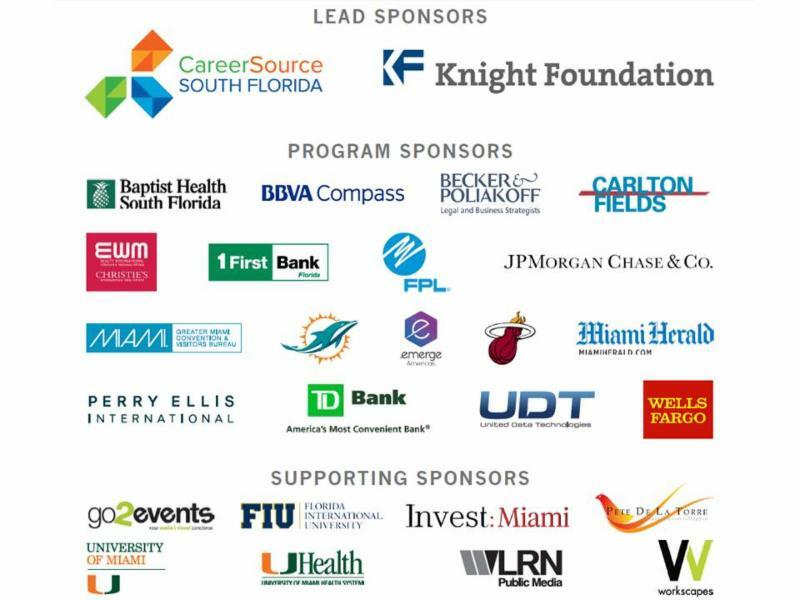 Special thanks to lead event sponsors CareerSource South Florida and Knight Foundation. Miami-Dade County’s emerging technology and innovation sector has experienced a 28 percent increase in jobs since 2012. The Academic Leaders Council has helped create new synergy between educational institutions and the business community. UM President and ALC Member Julio Frenk discussed UM’s hemispheric innovation strategy and the future integrated healthcare at UHealth. Economist Tony Villamil reported that new job growth in target industries is 44,858 far surpassing the original goal of 27,000 new jobs. 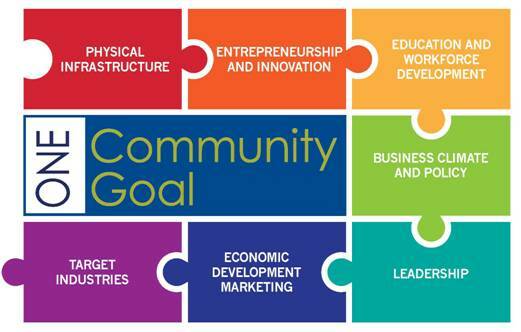 More than fifty community organizations are contributing to the successful results posted in OCOG’s seven categories for diversifying and strengthening our economy. 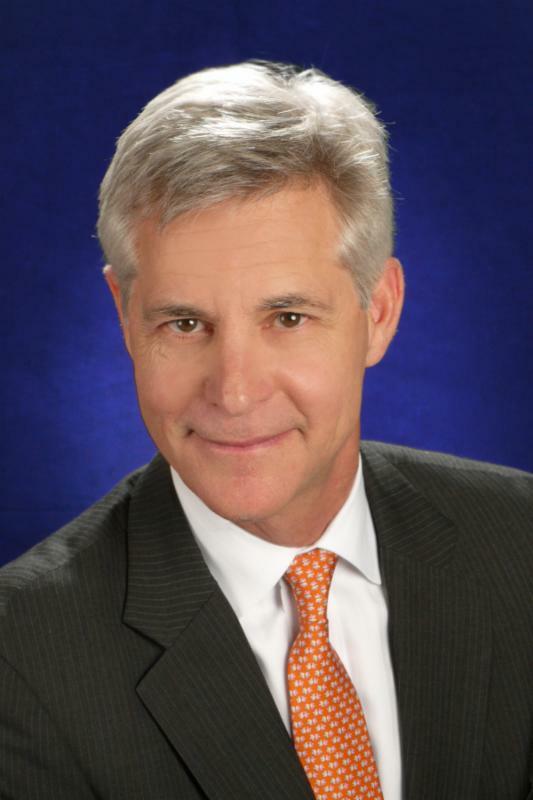 Tim Rowe, CEO of Cambridge Innovation Center, discussed his company’s decision to locate in Miami and how innovation is reshaping the new economy. 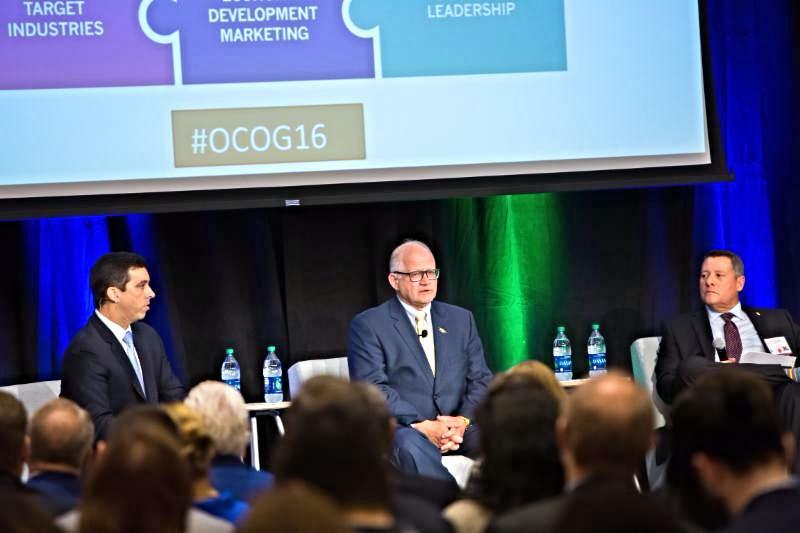 “Over the past years we’ve witnessed OCOG evolve from a community-wide strategic plan crafted with input from Miami-Dade residents and initiated by The Beacon Council, to becoming a fully engaged program rallying top leaders and organizations,” said Beacon Council Chair Ernie Diaz, Regional President for TD Bank in Florida. OCOG is a five-year strategic plan and community-wide initiative for growing high-paying jobs and investment in Miami-Dade County. The initiative, which is in its fourth year, focuses on seven categories for diversifying and strengthening our local economy. Academic Leaders Council Chair Mark B. Rosenberg (center) shares good news about business collaboration with academic community to OCOG Co-Chairs Matt Haggman and Nelson Lazo. – Academic Leaders Council members who have purposely integrated the OCOG strategic plan into their curriculums to prepare today’s students for the jobs that will be needed to meet business demands in Miami-Dade County tomorrow. Entrepreneurs panel focuses on innovation in Miami-Dade. Miami-Dade added 18,600 new jobs from June 2015 to June 2016 with growth in the construction sector leading (13.2 percent), followed by financial service sector (3.7 percent) and professional service sector (3.3 percent) according to statistics released Friday. 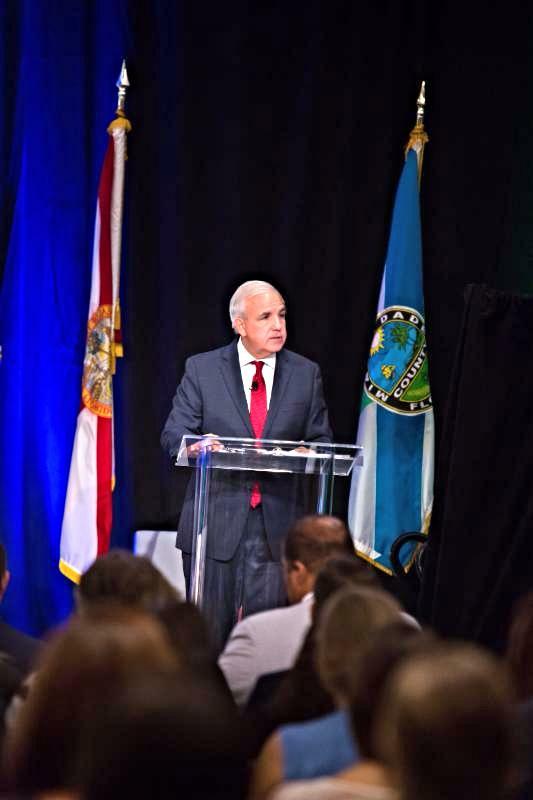 The One Community One Goal (OCOG) Annual Report to the Community, held July 21 at the University of Miami, provided reasons to be optimistic about the future of Miami-Dade County’s economy. I’m the Managing Principal at Kaufman Rossin, one of the top 50 CPA and advisory firms in the U.S. and one of the largest independent accounting firms in Florida. I moved to Miami from Northern Indiana in the winter of 1984 to work at Kaufman Rossin and have not looked back. In addition to my role at the firm, I have long been involved with and am the past chair of the board of directors for the Voices for Children Foundation, Inc., whose mission is to raise funds to ensure that every abused, abandoned and neglected child in Miami-Dade County has a court appointed Guardian Ad Litem and access to resources for their health, educational, and social needs. I am also a member of The Strategic Forum, an organization of South Florida business leaders dedicated to the exchange of ideas, development of personal and business relationships and the facilitation of business opportunities among its members. Members of our firm have been involved in Beacon Council initiatives for decades now, and most recently led a One Community One Goal survey to identify hiring trends among top technology leaders in the region. 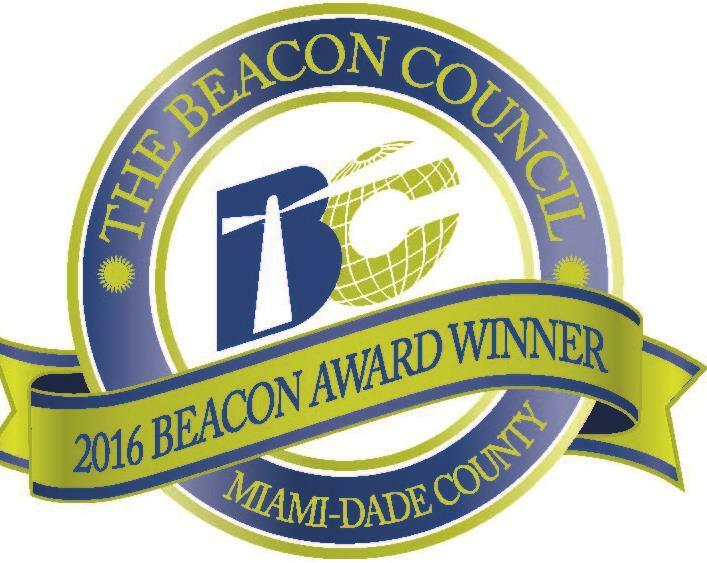 We’ve long admired The Beacon Council’s work in creating jobs and fostering economic development in Miami-Dade County. Kaufman Rossin has been in this community for 54 years and has seen firsthand the benefits of South Florida’s business growth. The South Florida market has long been dominated by small to mid-sized entrepreneurial businesses, and while it has always been multi-cultural, now it is truly global. With Miami as the gateway to the Caribbean, Central and South America, the area is a center of international business, attracting investors and entrepreneurs from around the region and around the world. Kaufman Rossin has been serving local, national and international clients from our South Florida base for more than five decades and understands well the challenges and opportunities facing those doing business here. This is an exciting time to be in the accounting profession. While commoditization has increased, innovation abounds. Technology has created so many opportunities to serve clients more effectively, whether through using data analysis, improving processes or serving them remotely with secure, cloud-based technology. Clients expect much more from their CPAs today than compliance; they want us to protect them from risk and improve their businesses. In addition to the cultural diversity, strong business community, and non-profit leadership opportunities, I enjoy the fun things that Miami has to offer. Basketball is my sport, and I’m a huge Miami Heat fan – in good times and bad. I also enjoy boating, diving, fishing and generally spending time on the water – and of course, the weather makes all that possible. Blain can be reached at bheckaman@kaufmanrossin.com. Topp Solutions was established in 1995 as a high level certified repair facility servicing manufacturers, insurance providers, and mobile network operators. The company’s goal is to give customers a reliable, valued add relationship. They are committed to creating local green high tech jobs in the US and being good stewards of the environment. 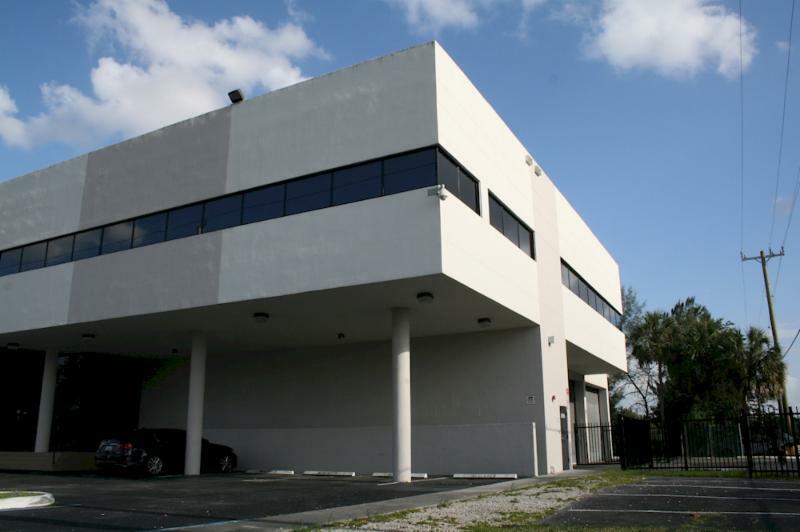 They are proud to be a founding member of the West End Innovation Center and have a strategic alliance with Florida International University School of Engineering. Average salaries in Miami-Dade County are up from last year. The average wage among those who work in the One Community One Goal seven target industries is $62,688 this year; the average for all other County business sectors is $60,583. In 2015, wages for targeted industries were $59,310 and for all sectors $55,321.